This review is about item#66085346. I use it for wiring work of the operation switch of the winch. It is very convenient. This review is about item#06886844. It is easy to use and reliable product. It can be used with confidence with an insulation coating. This review is about item#66085242. I think that it is not a reliable part so that customers can feel secure. Basically I like this because the price difference is also small. This review is about item#6886853. 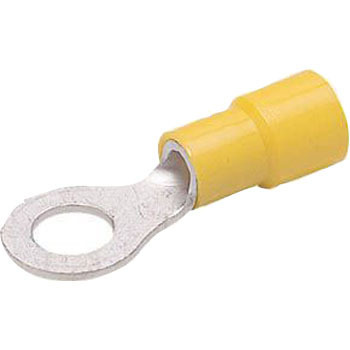 It is a crimp terminal that is easy to use normally. It is also good to have an insulating coating. This review is about item#6886792. Both quality and price are satisfactory. Dispatch is also early and is saved. This review is about item#6886801. I was able to purchase exactly the size, it was very good. For wiring of welding machine. The connection part of the welding machine was 6 mm. Because it is my order mistake I order additional order. This review is about item#66085337.